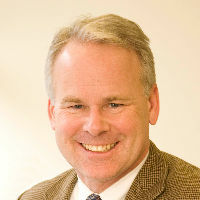 Michael Vandenbergh is the David Daniels Allen Distinguished Chair of Law, Co-Director of the Energy, Environment, & Land Use Program, and Director of the Vanderbilt Climate Change Research Network at Vanderbilt University Law School. Professor Vandenbergh is a leading scholar in environmental and energy law whose research explores the relationship between formal legal regulation and informal social regulation of individual and corporate behavior. His work with Vanderbilt’s Climate Change Research Network involves interdisciplinary teams that focus on the reduction of carbon emissions from the individual and household sector. His corporate work explores private environmental governance and the influence of social norms on firm behavior and the ways in which private contracting can enhance or undermine public governance. Before joining Vanderbilt’s law faculty, Professor Vandenbergh was a partner at a national law firm in Washington, D.C. He served as Chief of Staff of the U.S. Environmental Protection Agency from 1993 to 1995. He began his career as a law clerk for Judge Edward R. Becker of the U.S. Court of Appeals for the Third Circuit in 1987-88. In addition to directing Vanderbilt’s Climate Change Research Network, Professor Vandenbergh serves as co-director of the law school’s Energy, Environment and Land Use Program. He was named a David Daniels Allen Distinguished Professor of Law in fall 2013. A recipient of the Hall-Hartman Teaching Award, he teaches courses in environmental law, energy, and property. Professor Vandenbergh has been a visiting professor at the University of Chicago Law School and at Harvard Law School.